Did you know that anyone is welcome to bring your own food and non-alcoholic beverages for a picnic in the vineyard or at the picnic pavilion? Picnics are permitted in our Picnic Pavilion, Humidor Hill & Chianti’s Corner. All you have to do is call us to ensure there is not an event going on, grab a bottle of wine from our gift shop and you’re set to go! 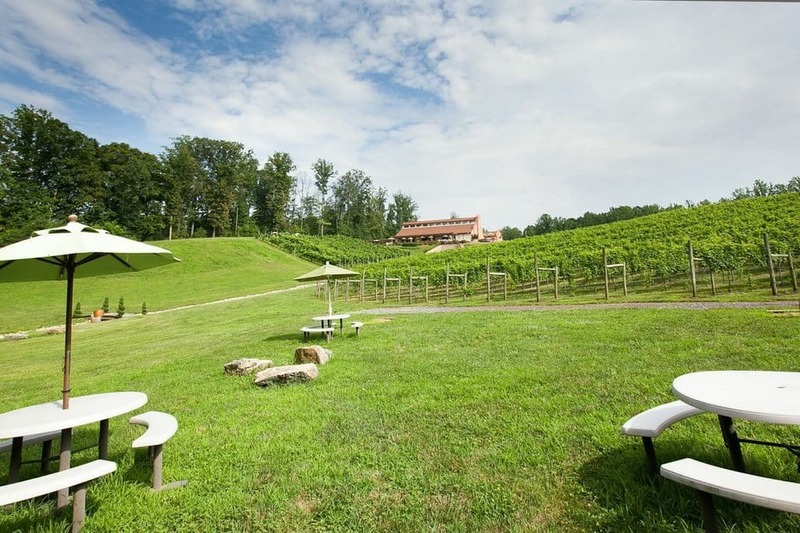 Rules and Regulations: Guests are not allowed to bring any outside alcoholic beverages; guests must be respectful to our vineyard by cleaning up all trash following your rendezvous; guests must be courteous during other outside events and weddings; Outside food is only allowed at the picnic pavilion, humidor hill and Chianti’s Corner. Please do not bring any outside food onto our patio, courtyard, or into our facility. The Picnic Pavilion is located in our grassy festival grounds and the base of our vineyard, with plenty of room to run around. Perfect for company picnics, family reunions or get-togethers with friends. The pavilion comfortably seats 45 guests and is open during our regular winery hours. The picnic pavilion may be rented privately; please call ahead to ensure its availability. Our public picnic area featuring picnic tables with umbrellas, and overlooking the lush vineyard is ready for you and your furry friends. Yes, Chianti’s Corner is totally pet friendly and you can bring your picnic lunch with you, just grab a bottle of your favorite Potomac Point wine from inside the tasting room and you’re good to go! The best news of all? Chianti’s Corner will always be open to the public! Unlike our Picnic Pavilion and Humidor Hill, which become closed off to the public when a private event is booked, Chianti’s Corner will always be open! Please note: there is no bistro or wine service in this area. You are welcome to purchase food or wine to-go in our tasting room. What better way to enjoy a beautiful day outside than with a wine country picnic? Make your way into the vineyard or humidor hill to sip wine and enjoy mother nature. 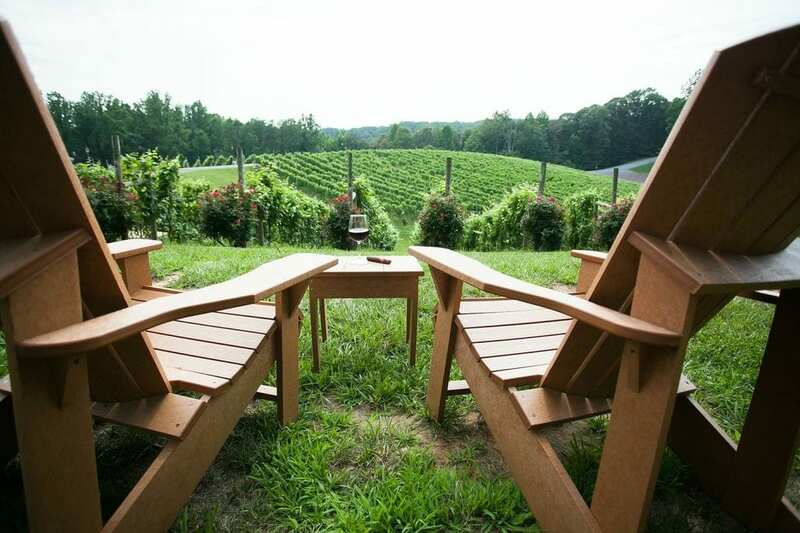 Potomac Point Winery allows outside food in our picnic areas and vineyards. Bring your picnic basket & blanket for a peaceful afternoon with good company. Simply call ahead to ensure there is not an event going on, grab a bottle of wine from our tasting room and you’re set to go!